WBUR, Boston’s NPR station, spent an hour discussing the future of renewable energy and fracking. 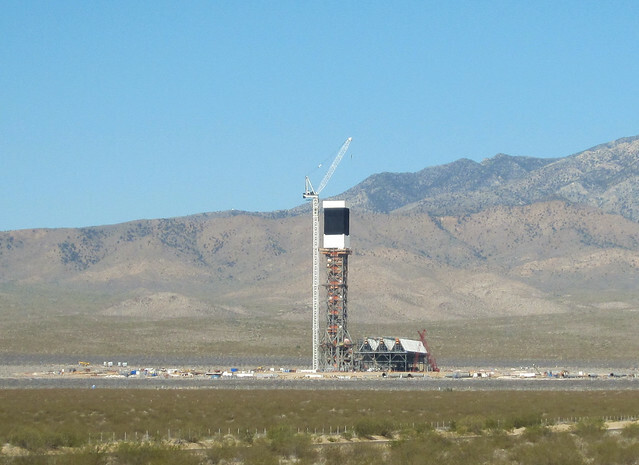 In our weekly news round-up, we told you about the largest-ever solar plant that just went online in the Mojave Desert. A gigantic solar farm, biggest of its kind in the world, opened last week in the California desert. Three-hundred and fifty thousand huge mirrors reflecting sunlight on 40-story towers — to 1,000 degrees Fahrenheit up there — making steam, turning turbines, generating clean electricity. And we not build another one like it. Solar and other renewable energies are up against an era of cheap, fracked natural gas. Environmentalists say cut back fossil fuel consumption, or climate change will croak us. The market’s saying here’s cheap gas. This hour On Point: solar and renewable energy in the age of fracking. This entry was posted in In the News and tagged fracking, Solar Power. Bookmark the permalink.